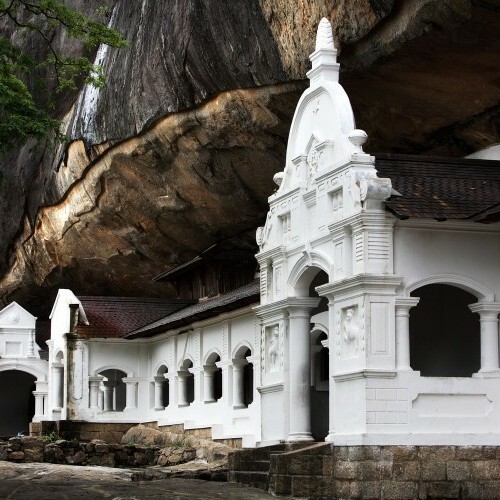 The cave monastery of Dambulla has been in operation for over 2000 years and it is sited on a gigantic granite outcrop that towers more than 160 m above the surrounding countryside. The rock is more than 1.5 km around its base and the summit is at 550 m, giving you a panoramic view of the plain and distant mountains. This was probably the place where King Vattagamani hid after fleeing from Tamil invaders. 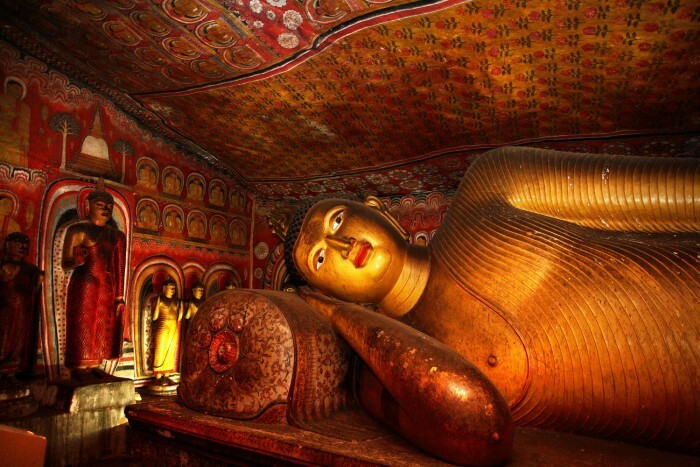 When he returned to the throne at Anuradhapura in 89 BC, he had a magnificent rock temple built at Dambulla. 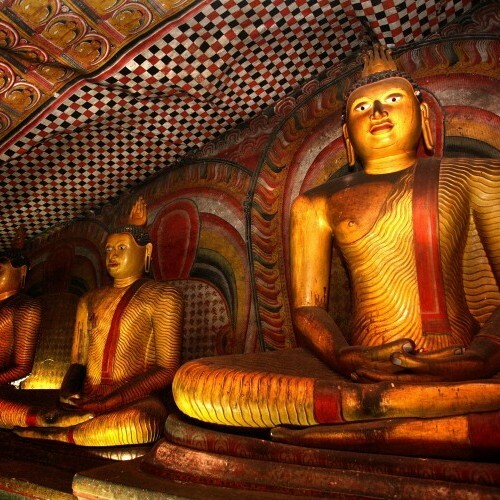 Dambulla is the most impressive cave temple complex in Sri Lanka, with five caves under a vast overhanging rock, carved with a drip line to keep the interiors dry. Monastic buildings have been built in front of the caves, complete with cloisters, and these in turn overlook a courtyard containing a Bo tree, which is used for ceremonial purposes. 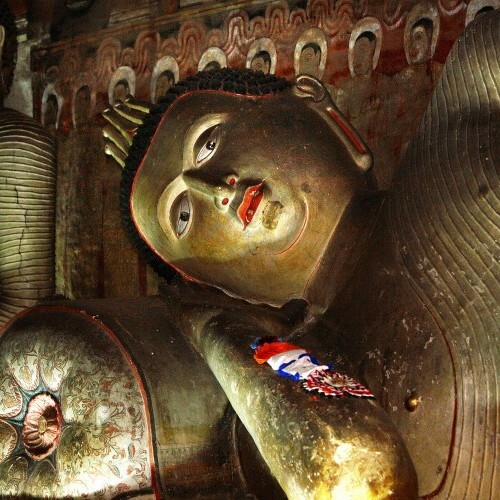 The caves have a mixture of religious and secular painting and sculpture, with ornate and intricate ceiling frescoes showing scenes from the Buddha's life and Sinhalese history. Although the monastery was founded in the 1st Century BC, the site has been repaired and repainted several times during the 11th, 12th and 18th Centuries. 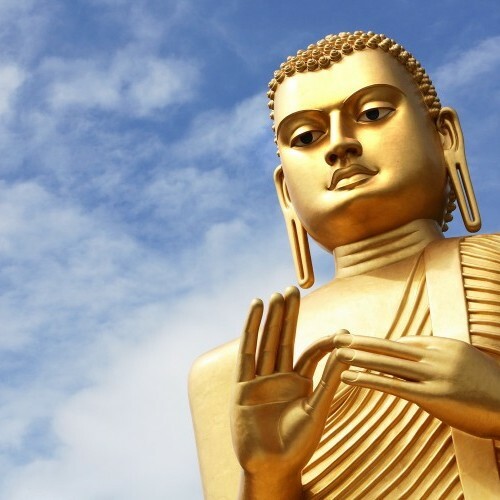 Dambulla is the most impressive cave temple complex in Sri Lanka and for this reason alone should not be missed, particularly if you are interested in the cultural, religious and artistic heritage of Sri Lanka. 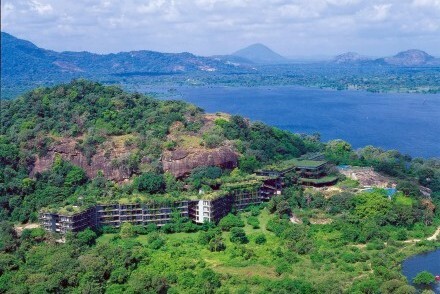 Most of the principal sites of interest can be visited in a 1.5-hour tour from Dambulla. 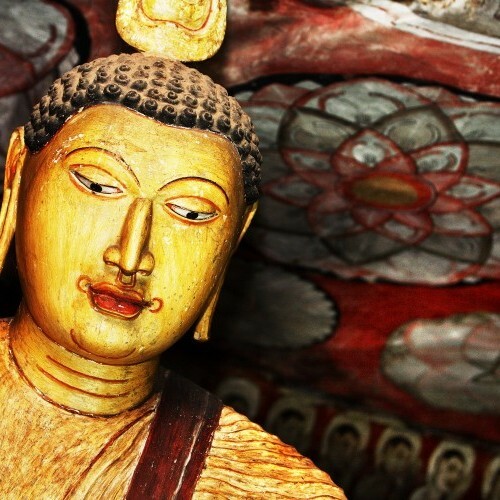 Explore the Cultural Triangle and areas near Dambulla. 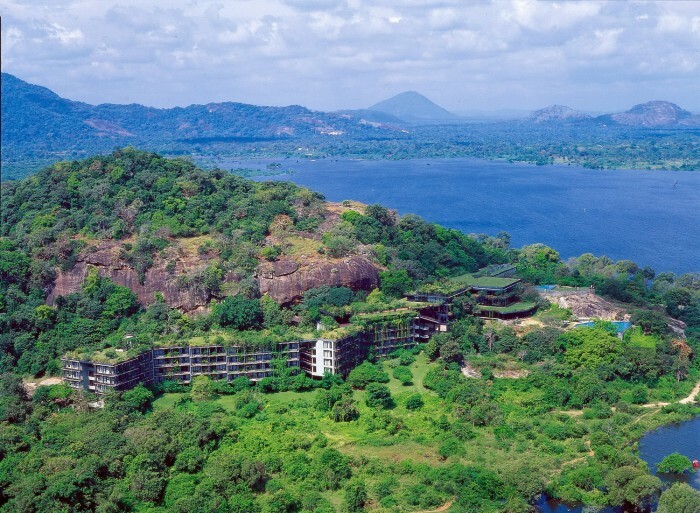 First luxury eco-hotel built in Asia and designed by Geoffrey Bawa, Sri Lanka’s most celebrated contemporary architect, it is set in its own 250-hectare jungle retreat with unimpeded views across wetlands to Lion Rock at Sigiriya.